I always find it quite cute seeing a little Spiderman or Superman walking around the zoo. Or a Princess Elsa walking around the supermarket. So far we've only had one occasion where Charles has wanted to go out dressed as Spiderman, and this was to a boat exhibition. We let him wear the costume because it was fun for him, and it made everyone smile as they saw him. Online store Kids Tshirts has a wonderful way of children being able to embrace their favourite characters, or to be able to pretend to be someone they aspire to be, without wearing a full costume. This makes it a bit more suitable for particular occasions where your child may want to wear a costume and it doesn't quite fit the dress code, or may not be very appropriate. These are also great for fancy dress parties where a child may want to wear trousers (or a skirt) rather than a full costume. The t-shirts are designed in-house before being printed onto every colour of t-shirt imaginable. We were sent a tshirt each for the boys. 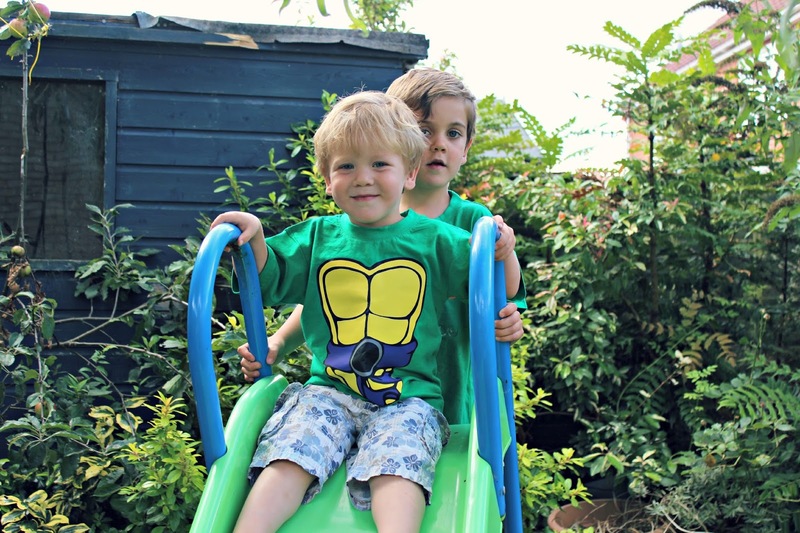 I gave Harry the choice of which tshirt to choose for them both and he chose the Turtle Power in Purple for himself and the Dragon with Wings in Green for Charles. Although these are not people or creatures they aspire to be, Harry thought these tops were 'lovely and really really good'. 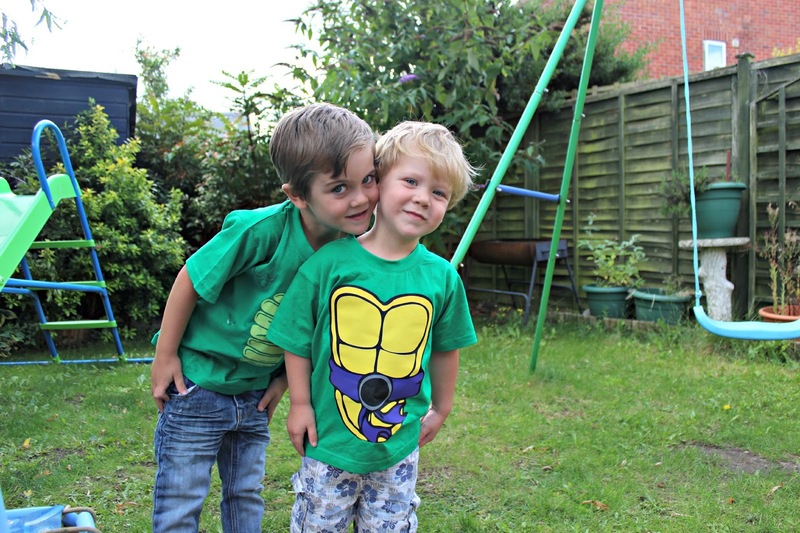 The boys are not yet at the Teenage Mutant Ninja Turtle phase, although did watch it at a friends recently and really liked it, so Harry wasn't really aware of what he had chosen although knew it was a shell. For me and my brother though, it brought back a lot of memories from our childhood. 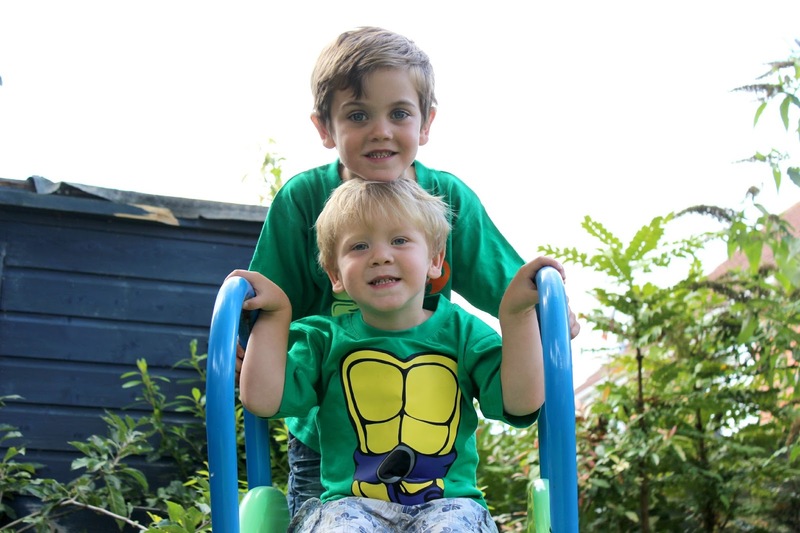 The tshirt is available in the four colours to suit each of the turtles in the tv programme. The fit is perfect and the tshirt washes really well. 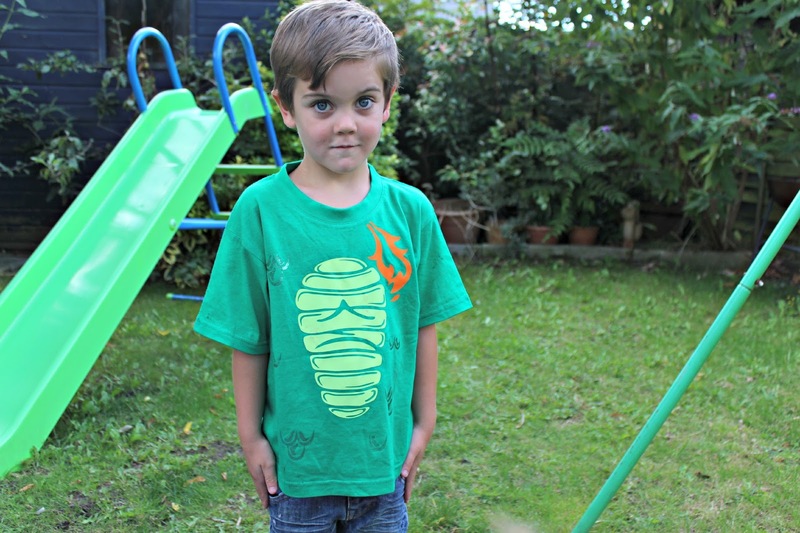 The dragon tshirt is also a great fit and Charles particularly likes pretending to breathe fire at us all. 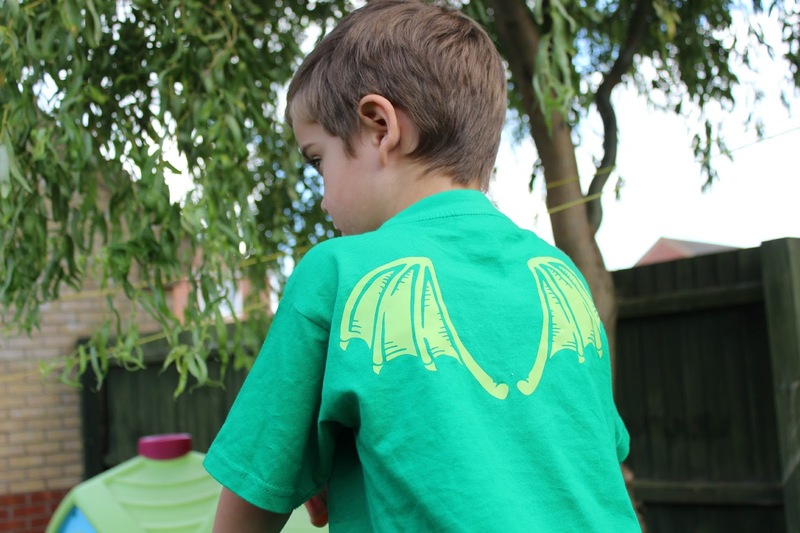 The wings on the back of the top are a great detail which the boys found particularly fun, along with the green glittery scales. These tshirts cost £9.99 and £10.99 which I think is really reasonable for a tshirt with this much detail. I love the variety of tshirts on the site, and may be tempted to purchase some of the Christmas themed ones in December. We were sent these tshirts for the purpose of this review.